Dipped with a camo look for that ultimate display of your antlers. 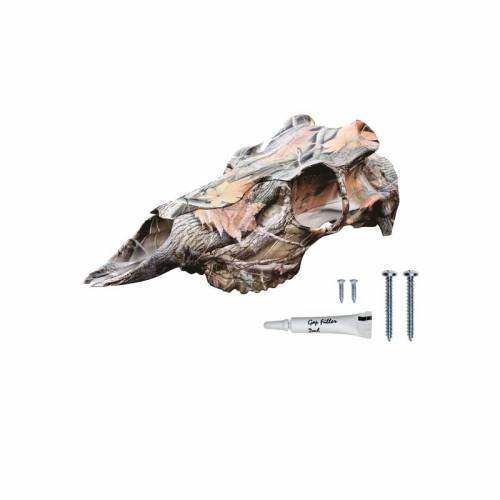 Compatible with your own harvested antlers or shed antlers the Skull Master kit includes all hardware needed to attach a set of antlers to a great looking European deer skull in a timely no-mess fashion. This antler kit comes with two different size interchangeable top sections so you can choose which size fits your antlers best.